At the start of each year, Meredith students dive into volunteering in the community through Meredith's annual SPLASH! Into Service event. The 2018 event was held on Saturday, Aug. 25. As a half-day community service event, SPLASH! provides students the opportunity to learn about and give back to the local Raleigh community. 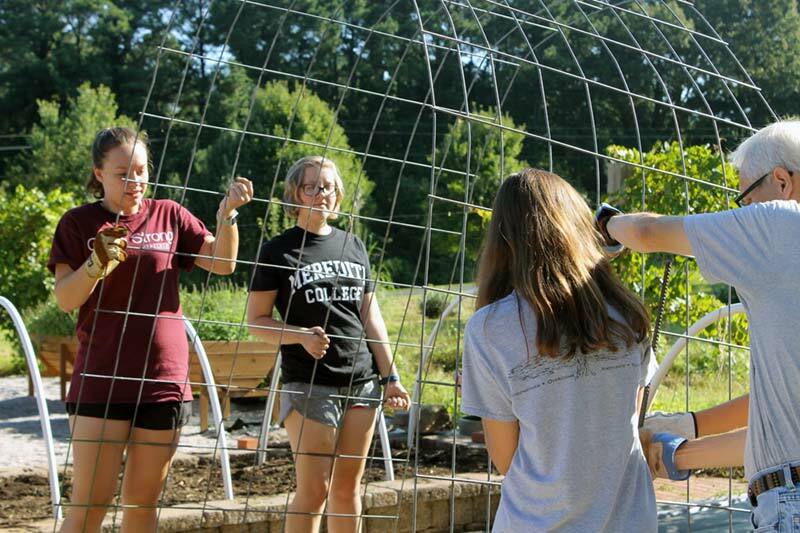 This year 53 Meredith students and five Meredith staff volunteered across three project sites: Habitat for Humanity of Wake County build site, Big Sweep of Wake County park clean-up project, and the on-campus Dickson Foundation Community Garden. Among the participants were Meredith Service Scholars. Established in 2017, Meredith’s Service Scholars program is a competitive scholarship program that offers a select group of students the opportunity to develop their community service and leadership skills through service that addresses social problems. SPLASH! Into Service is sponsored by the Office of Student Leadership and Service.